Just like purchasing a used car, shopping for used car parts in Fort Myers, FL, or a town near you can be a great way to save a lot of money when you know what you are doing. However, there are some very important car parts that should never be bought used; when it comes to spending money on your car, these are the parts you will not want to skimp on. Tires: You will almost never want to buy used tires. 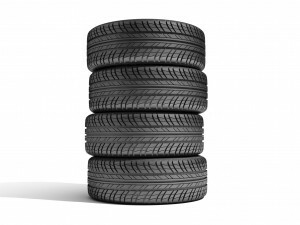 Used tires have worn tread and you run the risk of their containing hidden cracks or bulges. Used wheels are a great way to save money, but always put new tires on them. Shocks: These tend to last for only about 50,000 miles, so buying used ones can be a waste. It is an especially bad decision if you cannot be guaranteed how many miles the used shocks already have on them. Struts: Struts tend to need replacing about the same time that your shocks do, so the logic behind buying them new is the same. Motor mounts: These are a cheap part to buy brand new and they are much more reliable when bought new. The small amount of money that you will save buying used is nowhere near worth the risk that you take. Seals: Seals are a vital part of keeping your engine running safely and helping other parts last longer. They are under a lot of stress while in use, so you will not want to buy them used. You won’t break the bank buying them new, anyway. If you know which parts to buy new and which to buy used, you can keep your car running well with what it needs without spending unnecessary money. When you do buy used car parts, just be sure that you know what you need and that you are getting a good product. If you do this, you can save a lot of money!